The Paradise Fish was one of the first tropical fish in the trade, and the start of the aquarium hobby! The Paradise Fish Macropodus opercularis is often referred to as the “founding fish of the hobby”. It was one of the first tropical fish exported to Europe, second only to the well known Goldfish Carassius auratus. It was first brought to France in 1869 and later to Berlin by Sasse in 1876. This small but very attractive beauty was instrumental in popularizing freshwater fish keeping. With the introduction of so many other species its popularity has diminished somewhat, yet this fish is still among the most glamorous specimens found in the freshwater aquarium hobby. In size the male reaches only a mere 4 inches (10 cm) with females slightly smaller at just over 3 inches (8 cm), but it is endowed with a rich and brilliant color pattern. The body has a blue color usually accented with red stripes, blacks and whites, and it has a red tail. Males become quite distinguished as they mature, developing very long flowing fins that will extend into serrated filaments. There are also a number of color forms including black and albino. Albino varieties can be very beautiful, having the blue color on the body replaced by white, then accented with brilliant red blotches and vertical stripping across the body and onto the fins. Other common names the species is known by include Blue Paradise Fish, Paradise Gourami, Red and Blue Paradise Fish, Paradisefish, and Blue Paradise Gourami. Paradise Fish are surprisingly intelligent and curious. They make very personable and attractive aquarium inhabitants and are a joy to keep if appropriate research and planning goes into their aquarium set-up, tank mates, and care. These fish are one of the more aggressive member of their family. When young they can easily be kept together, but once mature, adult males are very quarrelsome and will battle as fiercely with others of their own kind as their cousin, the Siamese Fighting Fish Betta splendens. Males should be kept singly or in pairs with lots of hiding places for the female. Females can be kept in groups. These are good community fish as long as tank mates are not combative and are too big to eat. They do best in a community with fish that are significantly larger and non-aggressive. These fish are quite hardy with a great appetite, making them an excellent fish for the beginner. They are very adaptable and not too picky about their water parameters. They are naturally found habitats ranging from slow moving or stagnant ditches to the backwaters of large rivers. Consequently they can tolerate a wide range of conditions and temperatures, including an unheated aquarium or an outdoor pond. A good sized male can be kept in a 20 gallon tank, but to keep a pair or a community of fish, a 20 gallon long or 30 gallon aquarium will be needed. They will enjoy sturdy plants, and some driftwood and rocks can also be included, all of which will provide places for hiding and retreat. The tank needs to be covered as they are jumpers. When picking out a Paradise fish, be sure to choose your stock carefully. A desire to breed these fish in the brightest coloration and to provide them in large quantities, has unfortunately led to a mass production of fish that are neither colorful nor healthy. The Paradise Fish you pick should be alert and enjoying moving about, a lethargic fish is not healthy and is unlikely to “recover”. The Paradise Fish Macropodus opercularis was described by Linnaeus in 1758. This species is found across a considerably wide range of southeast Asia. In China it is found from the east in the Yangtze river basin to the Pearl River basin, in Hong Kong, and on Hainan Island. It also occurs in Taiwan, northern and central Viet Nam, northeastern Laos, Cambodia, Malaysia, Japan, the Ryukyu Islands and Korea. it has also been introduced outside of its native range with populations found in in Madagascar and the United States. Some other common names it is known by include Blue Paradise Fish, Paradise Gourami, Red and Blue Paradise Fish, Paradisefish, and Blue Paradise Gourami. This species is listed on the IUCN Red List as Least Concern (LC). Although there are areas recognized as having habitat destruction as well as water pollution resulting from the use of agricultural pesticides, overall it has a large distribution with no major widespread threats. This species occurs in all kinds of lowland habitats. They are found in streams and the backwaters of major rivers, rice paddies and irrigation ditches, marshes and stagnant ponds. They exhibit a clear preference for slow-moving or still waters. They are Labyrinth fish, members of the suborder Anabantoidei often called Anabantoids, that can breathe atmospheric oxygen. These type of fish have an additional respiratory organ called the "labyrinth organ", which allows them to survive in stagnant water bodies that have very low oxygen content or are even polluted. They are able to get oxygen by passing water through their gills, but also have the ability to gulp air at the surface. This organ tends to be more developed in those specimens occurring particularly in oxygen deprived waters. They are opportunistic feeders in nature, and though omnivorous they show a tendency for an animal diet over vegetable matter. They feed on small fish and other small aquatic animals including planktonic invertebrates and other zoobenthos. An interesting behavior observed with this species is that sometimes the fish sees potential prey above the water surface, and attempts to catch it by jumping out of the water. Social Grouping: Solitary - In nature this species is primarily solitary, forming pairs when spawning. The Paradise Fish has a stout elongated body and all the fins are pointed. The tail fin is forked and becomes quite long on the males, up to an inch or two, extending into serrated filaments. Like all other labyrinth fish they can breath air, generally gulping it at the water's surface. They have a special 'labyrinth organ' which acts like a lung that enables them to survive in oxygen-depleted or polluted waters. Males will reach about 4 inches (11 cm) in length with the tail fin trailing on for an extra inch or two. The females are a bit smaller reaching just over 3 inches (8 cm). They have an average life span of about 6 years, but can live up to 8 years with good care. These are quite colorful fish adorned in a medley of reds and blues accented in blacks and whites, and the tail fin is red. The body is generally blue overall with red vertical striping extending onto the fins. There are several color forms including black and albino. Albino varieties can have a very attractive pattern, white overall accented with brilliant red blotches and vertical stripping across the body that extends onto the fins. Size of fish - inches: 3.9 inches (10.01 cm) - This fish will reach about 4 inches (10 cm), with the female a bit smaller at just over 3 inches (8 cm). Lifespan: 6 years - The average lifespan is 6 years, but with proper care they could live up to about 8 years. This is a hardy fish and makes a good choice for the beginner. They are undemanding and can tolerate a range of tank conditions and temperatures, even tolerating an unheated aquarium. They are hardy eaters and will readily accept a wide variety of foods. They are normally marketed as community fish, but take caution as the males will fight each other. Males should be kept singly or in pairs, but will be fine in a mixed community with other fish that are slightly larger and non-aggressive. Although the Paradise Fish are omnivores, they favor rich meaty foods. In the wild they are predators, feeding on small fish and small aquatic animals like planktonic invertebrates and other zoobenthos. An interesting characteristic observed in these fish is that sometimes if they see potential prey above the water surface, like insects, they will attempt to catch them by jumping out of the water. To keep a good balance in the aquarium give them a quality flake or pellet food as the base of the diet. They will gladly eat foods designed for Bettas, but they shouldn’t be fed that type of food exclusively. They enjoy exercising their predatory nature on live foods, but should also be provided some vegetable matter. Supplementation should include white worms, blood worms, brine shrimp, or any other suitable substitute. Generally feed once or twice a day. Feeding Frequency: Several feedings per day - Generally feed once or twice a day. These are extremely hardy fish and although the labyrinth organ allows the fish to survive in oxygen depleted water, it is a common misconception that this makes water changes unnecessary. This is hardly the case as these fish will suffer the same tissue damage from built up toxins as any other fish. Regular water changes are a must with 25% weekly being recommended. The Paradise Fish will swim in all parts of the tank. They are fairly hardy and will adapt to most aquarium conditions. They will tolerate a wide range of temperatures, even being kept in an unheated aquarium. A single fish can be kept in a 20 gallon tank, but a pair or a community of fish will do best in a tank that's at least 30" long. Provide a 20 gallon long or 30 gallon aquarium with plants for the female to hide in. The tank should have an efficient filtration system but should have very gentle water movement. The tank also needs to be covered as they are jumpers. Paradise Fish are often found living in tiny water bodies in nature. They will generally stake out about a few square feet of territory, which they will defend and inhabit, and In the aquarium this environment is emulated. The tank should be decorated in a way which allows both the dominant and quieter personality type fish to live happily. This means the construction of a few hiding places and some surface cover. They will show their colors best on a dark substrate and need some sturdy aquarium plants to provide the female with places to hide. Some driftwood and rocks can also be included which will offer additional places for retreat. This species appreciates some cover with floating plants, but be sure to leave some open areas for them to gulp air at the water surface. Minimum Tank Size: 20 gal (76 L) - A single fish could be kept in a little as 5 gallons, but this small size is more difficult to maintain. For long term care a standard 20 gallon tank works best for a single male, and the minimum size suggested for a pair or a mixed community is a 20 gallon long or 30 gallon aquarium. Suitable for Nano Tank: Yes - A 20 gallon Nano tank can house a single male, but a larger Nano should be provided for a pair or community. Temperature: 61.0 to 79.0° F (16.1 to 26.1° C) - They have a wide tolerance, even temperatures slightly beyond these typical parameters, so can be kept in outdoor ponds or unheated aquariums. Breeding Temperature: 70.0° F - They will breed with temperatures between 70 -75° F (21-24° C). Water Movement: Weak - Will be uncomfortable with strong water currents. Water Region: All - These fish will inhabit all levels of the aquarium. These fish make good community tank inhabitants, but only with the right companions. They are similar to Bettas in disposition and although the Paradise Fish is slightly less extreme, both these types of Labyrinth fish are belligerent and predatory and it is difficult to select good tank mates for them. They really prefer to live alone, but will accept some other species of fish as long as they are larger and non-aggressive. In a community setting this fish needs to be the dominant species and should not be kept with other robust fish that may compete for control. It will fight with other dominant fish, or if the others are larger and aggressive it will hide, and often succumb to stress. Some people believe this fish will peacefully share a bowl with a Betta, but there is no truth to this and can lead to disaster. A mix of neutral personalities of fish that are not similar in looks is the ideal goal for its range of tank mates. Be careful in selections, and be prepared to adjust companions if needed. Good tank mates can be non-aggressive medium to large gouramis, robust cyprinid species, larger characins, eartheater type Geophagus cichlids, loricariid catfish from South America, large Synodontis catfish, and loaches. Avoid slow swimming fish or fish with long flowing fins. Being skilled hunters, extremely small fish or fish fry rarely last long. Temperament: Semi-aggressive - They are peaceful with the right tankmates, avoid similar looking fish and very small fish. Same species - conspecifics: Sometimes - Males should not be kept together as they will fight, they can be kept in pairs and females can normally be kept in groups. Peaceful fish (): Monitor - It is difficult to select appropriate tankmates. Larger, non-aggessive fish are fine, but similar looking fish and smaller fish may be bullied. Males larger than females, and are brighter with stronger color patterns. Their fins are also longer and larger. Like most fish in the labyrinth fish family, the Paradise Fish are bubble nest builders and breeding this species is not difficult. They will breed Betta style, employing a bubble nest which they will defend to the death. Males will build bubble nests frequently, usually beneath a leaf. Prior to spawning they should be well conditioned in a separate environment, with small offerings of live and frozen foods several times a day. When well fed females should begin filling out with eggs, appearing very plump. Females not yet ready for egg-laying should be kept away as males have a nasty temperament and may mutilate or even kill an unprepared female. An individual breeding tank. about 20 gallons in size, should be set up with the water level low, at about 6 - 8" (15 - 20 cm). Normal water parameters are fine but raise the temperature to between 80 - 84° F (26 - 29° C). You can add a small gently air-powered sponge filter or some peat filtration, but the tank current should be minimal. They need several good sized clumps of fine leaved plants, like Hornwort or Milfoil. During the courtship and after building the nest, a male will consider females to be rivals and bully them. The plants are essential for the female to have places for retreat. Many aquarists find that floating plants like Ricca, stem plants grown to the surface, or any other floating debris will help keep the bubble nest in place. Males will build the nest and then corner the female below. The male will wrap his body around the female and the two will spawn, with eggs and sperm released simultaneously. Then the male will go limp, the pair will separate, and the exhausted female will drift to the bottom of the tank. This behavior may be repeated several times, and if the female was well filled out, the spawn can produce around 500 eggs. The eggs are buoyant and most will float up to the nest. The male will pick up any that sink in his mouth and place them in his nest. He will guard the eggs until they hatch. Males are most ferocious after spawning and will chase off the female. The female must be removed after the eggs are produced or she risks being killed by the male. Hatching time varies some with temperature. Generally the fry will emerge between 30 to 50 hours, but could be between 48 to 96 hours. After hatching the fry will soon emerge and become free swimming, indicated by the nest breaking apart. This is when the male should be removed or he might eat the fry which emerge from the nest. Free swimming fry can be fed infusoria or a liquid fry food until they are large enough to eat baby brine shrimp. See the description of breeding techniques in: Breeding Freshwater Fish: Anabantoids. Also see Fish Food for Fry for information about types of foods for raising the young. 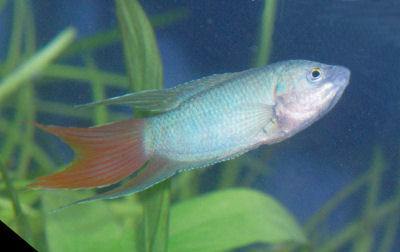 Paradise Gouramis are very hardy so disease is not usually a problem in a well maintained aquarium. Some diseases they are prone to are bacterial infections, constipation and Hole in the Head if good water quality, nutrition, and maintenance is not provided. With any additions to a tank such as new fish, plants, substrates, and decorations there is a risk of introducing disease. It's advisable to properly clean or quarantine anything that you want add to an established tank prior to introduction, so as not to upset the balance. 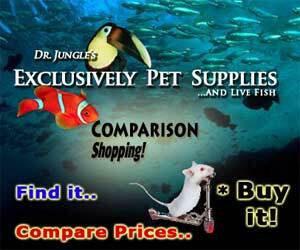 The Paradise Fish is readily available in many pet stores, although quality fish can be difficult to obtain. They are also offered by some online retailers. Males are easier to find than females. Cost can range depending on the color and size, anywhere from moderate in price to moderately expensive. Ingo Schindler, News on the taxonomy and distribution of Macropodus species, Der Makropode, 31. 9-12: Jahrgang 1, 2009. In northcentral Mississippi, blue paradise fish survive and breed in outdoor pools/fountains. This fish, like goldfish/koi/carp, should never be released to natural waterways and ponds. I purchased a blue paradise gouramie and a red dwarf. Added them to 10 gallon tank with tiger barb. The red dwarf died think wasnt aggressive enough. Thought tiger barb and gourami would live happy together since about same size similar temperments, both fiesty. Now the gouramie is hovering at top of tank like sick.I did just add sword plant to tank. hello i just began with a small fish bowl that i got as a giftand lost two goldfishes.that was heartbreaking but since i got a pair of paradise fish and tiger barb each...they appeared to be healthy and happy.one of my paradise fishes kept hitting on the surface of the bowl since the beginning and about five days later i see blood clots on her body(near the eyes and head)and seems to try to jump.the other one also shows some slight blood marks(not sure)and unusual lethargic behaviour.am i witnessing marks of physical hurt or some disease?? ?.i find the content on net scarce. plz help asap. Unless you've got a 100 litre LONG tank, which is heavily planted, then those paradisefish will fight and the unfortunate one will end up having chunks taken out of it and then go pale, which is a sign of sickness and severe stress. I have a 100 litre tank and had to buy a new one to separate the male and female. Tiger barbs should be kept in a group of 6 minimum otherwise they can be aggressive when in fewer numbers and also nippy. They can also be stressing the paradisefish. It sounds like they've got no space to move and they're all stressed. You said you had a small bowl with goldfish previously? That's like a prison for goldfish. They release a lot of waste and no doubt they died because of the water quality and myriad of other factors. I hope you upgraded the small bowl to a large tank when purchasing the new fish? You really ought to buy another tank, say 80cm (length) x 40cm (width) x 30cm (height) and put the male paradisefish in that tank along with a total of 6 tiger barbs. The female paradisefish should go into another tank on her own. Remember to include lots of real plants and use a good filter like Eheim. Invest in the life quality of your fish and you'll reap the rewards in seeing their happy behaviour within a secure dwelling place. Put them in a prison cell with fish not suitable, then it will be a disaster. Hello, About two years I have diffuclties in keeping male Paradise fish. Every one of them is doing allright for about six months, they eat, breed, chase the female, etc. Then something goes wrong, they become lethargic, hang at the surface, don't eat, turn pale and die, apparently suffocating because they take surface air every five seconds. The females never have this problem. I examined the males and don't find any trace of parasites or worms. Therefore it must be something bacterial or viral, or with the water quality. As none of the other fishes have medical issues (platies, corydoras and female Paradise) all this is puzzling. Ofcourse I treated them with medication, but no result. It could be that I waited too long before I started treating them, but it's not easy to determine when the problem starts, it evolves very slowly, even when it's unmistakably there it lasts about four or five weeks before they perish. Any advice is welcome, otherwise I must give up on keeping these fish, wich I really like. There are two hints of infection in my tank, first a singel white spot, abces, that appears in the head of the paradise fishes when they are introduced, which disappears after a few days, but may recur a couple of times, and some mouth issues with some of my platties. I suppose the first is a virus and the second a bacterial infection For some time I had a group of black/grey widow tetra's who had serious mouth issues, but not lethal, some abces that difformed their mouth by what looked like dark pimpels on it, it didn't seem to affect them much. Any info or advice is thankfully accepted. Depending how many females you have. Try adding one male per 4 or so females. The males may be fighting for mating rights and getting too stressed. The problem can not be caused by stress as I never had more then two male Paradise fish, and since the first one died, only one at the time. The first two had the occasional fight, but as the outlet of the filter is right in the middle of the 2 meter tank they had a territory at the sides and enough females for company and breeding. In my experience the females give the weakest amongst them also a hard time once there is a male in the tank. White spot sounds like Ick?